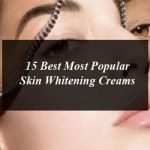 Top 5 Acne Scar Removal Creams in Pakistan.Acne and Acne Scars are really annoying and fade out the beauty of face. Acne is in fact a skin disease (not a serious health disease) but leaves behind unwanted annoying scars on face. Acne Scars are usually the result of severe kind of acne (causes enlarged skin pores with excessive oil and bacteria). When the acne zits and pimple swells causing a break in the follicle wall and in severe kind of acne it damages the skin tissue resulting scars after healing. Acne occurs mostly on oily skin. Our hormones stimulate oil glands that cause acne. When your skin catches dirt it clogs pores. The dirt on the oily skin invites bacteria to sit and develop acne. Acne, blackheads, whiteheads and pimples on face and neck make our skin ugly and unattractive. A number of reasons contribute in causing acne including hormonal change, hormone increase in teen age years, use and stop of birth control pills, greasy makeup, pollution and the use of other medicine, etc. First of all try to heal acne as soon as possible and visit the dermatologist. For avoiding darkening of scars stay away from sun and using a good quality of Sun block cream. Don’t try to pop out pimple for healing it quickly as it’s the main cause of deep acne scar and also cause more acne. Avoid scrubbing on the acne oriented face. Acne will go away but leave behind acne scars which take long time to heal and in some cases remain forever on the face.There are a number of treatments (including Laser and filler treatments) available for removing acne scars but these treatments are bit costly. You can also treat them with good quality acne scar removal creams in Pakistan. Today we will discuses with yo about top 5 acne scar removal creams in Pakistan. There are a number of acne scar removal creams in Pakistan containing Hydroquinone that can lighten the darker area left from acne scars but it causes irritation and redness on the skin. So the best is to avoid acne scars removal creams with hydroquinone. Acne scar removal creams with Kojic acid, lactic acid, glycolic acid and fruit acids are best to treat acne scars. Today we will tell you top 5 acne scar removal creams in Pakistan that are not only effective but also price friendly. You can easily but these acne scar removal creams in Pakistan by visiting an authentic shop or via online shopping in Pakistan. The first key to acne scar removing is patience. Neither creams nor treatments are magic everything takes time. So keep these things in mind before choosing any of the acne scar removal creams. Mederma is one of the best acne scar removal creams in Pakistan. The Mederma is a non-greasy and water based cream. It improves the skin texture, color and appearance of acne scars. It’s a clinically proven formula to visibly reduce the appearance of old and new acne scars, surgery scars, and scars from burns, cuts, and other injuries. Apply only a thin layer of Mederma® Advanced Scar Gel on the face at night, gently massage it into the scar until there is no shiny, wet, or sticky feeling left. If you want to go for Mederma for removing acne scars feel free to consult your skin expert first.You can see the visible result after about 4 weeks of daily usage, with optimum improvement in 8 weeks. Clean & Clear advance mark treatment is best acne scar removal creams in Pakistan. Clean & Clear advance mark treatment cream is an excellent formula for the acne scars. It is also useful for all types of skin as it contains the salicylic acid instead of benzoyl peroxide, so it works better on blackheads and pimples. A unique combination of salicylic acid and glycolic acid helps to eliminate acne and post acne scars. It comes with non-greasy formula and also with the clinically proven acne medicine can then penetrate pores. Its regular use improves elasticity and removes post acne marks. For getting better result clean your skin properly and apply the Clean & Clear advance mark treatment cream on the face twice daily. Kate Somerville D-Scar Diminishing Serum is the best acne scar removal creams in Pakistan. You can take Kate Somerville D-Scar Diminishing Serum removes the acne scars and improves skin complexion. It suits all skin types and 100% of scar treatment users had a significantly improved scar texture and smoothness. Kate Somerville D-Scar Diminishing Serum flattens and improves the appearance of both new and old scars for smoother, softer skin. It’s easy to apply, non-allergenic scar treatment dries quickly and invisibly. Its removes 100% acne scars within 8 weeks as the 92% of users had decreased scar thickness. Dermonu Pigmentation and Acne Scar Removal Cream from Spain and is also available for acne scar removing in Pakistan. It fades away all the skin imperfections including acne scars, birthmarks, pigmentation, discoloration and dark spots. Dermonu Pigmentation and Acne Scar Removal Cream is the unique combination of Regenerum with Tea Tree essential oil and salicylic acid to prevent acne scar and pigmentation. It is a skin care cream that penetrates deep, removing the dead skin cells to reveal healthy new skin underneath. Apply a thin layer after washing the face at night. Dermonu Pigmentation and Acne Scar Removal Cream starts to show results within 6 weeks or regular use. Kojic cream is also one of the best acne scar removal creams in Pakistan. There are almost no side effects of the Kojic Cream as it’s the combination of Japanese Mushrooms, Arbutin or Licorice Root Extracts.It is also used to lighten the skin. It may be used to treat skin conditions, such as sun damage, scars, and age spots. it’s not only removes acne scars but also eliminates pigmentation, freckles, skin imperfections, dark and age spots. For better results wash your face properly pet dry and apply a thin layer on the affected area, massage gently until properly absorb into the skin. Must consult with the doctor first before choosing any of the acne scar removal creams. When using any of the above mentioned products skin irritation and dryness is more likely to occur if you use another topical acne medication at the same time. Rinse right away with water if it enters in eyes. For best results use at night. How to Choose the Best Face Serum?